a tutorial based blog that covers crafts, diy, home decor, sewing, paper crafting and more. 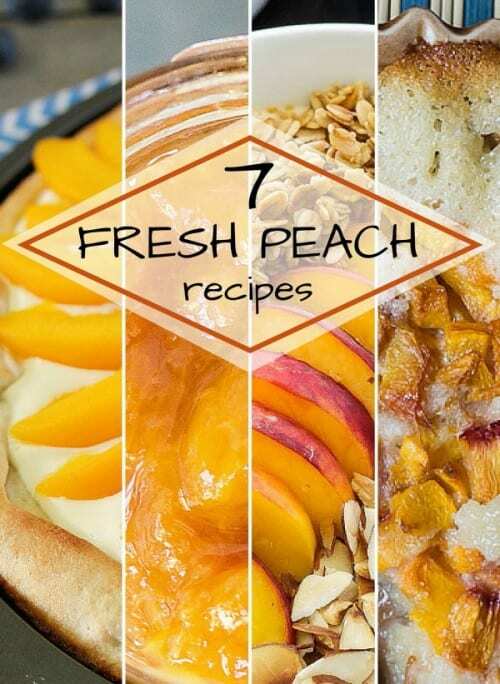 A collection of fresh peach recipes for the summer. Pizza, smoothies, jam, cakes and more. How do you cook with fresh peaches? It is peach season! You see them everywhere. Roadside fruit stands, on display at the grocery store, and popping up on recipe and food blogs everywhere. 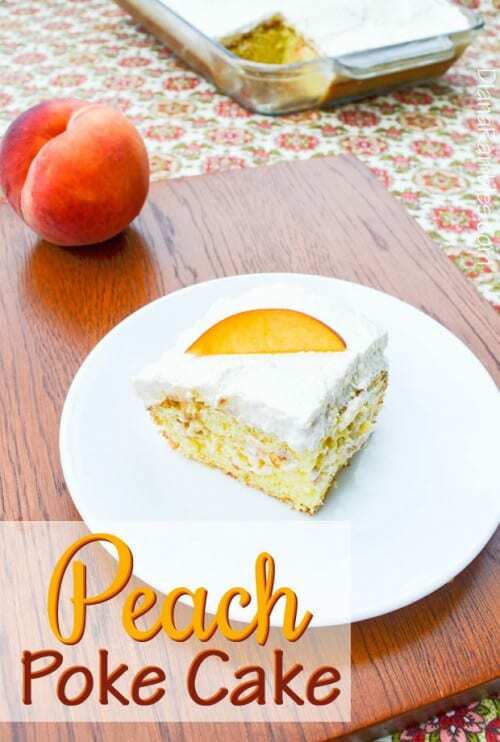 Today I am featuring some peach recipes that were shared on my weekly linky party. All of these recipes look delish and I can’t wait to give them a try! 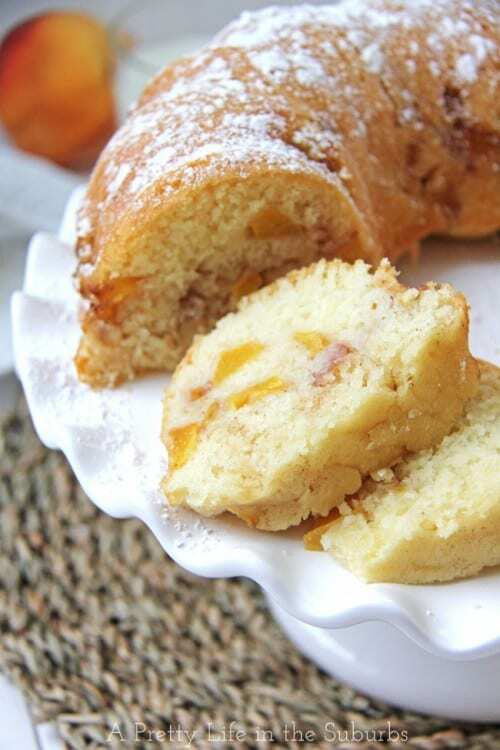 The first is this Peach Bundt Cake. I recently purchased a bundt cake pan and have loved making all sorts of different bundt cakes. Cobbler is a classic, and one of our favorite treats to make when camping, but I don’t always think of making it at home. This 5 Ingredient Peach Cobbler looks pretty good, and with only 5 ingredients I’ll be enjoying it in no time! This Peach Pie Smoothie Bowl would make an excellent breakfast or mid-day snack. I think this looks so good and is probably going to be the first one that I try. You really can’t go wrong with cake, and I bet this Peach Poke Cake is amazing!! Yummo, it is making me drool! Toast and Jam is a breakfast favorite because it is so quick and easy. 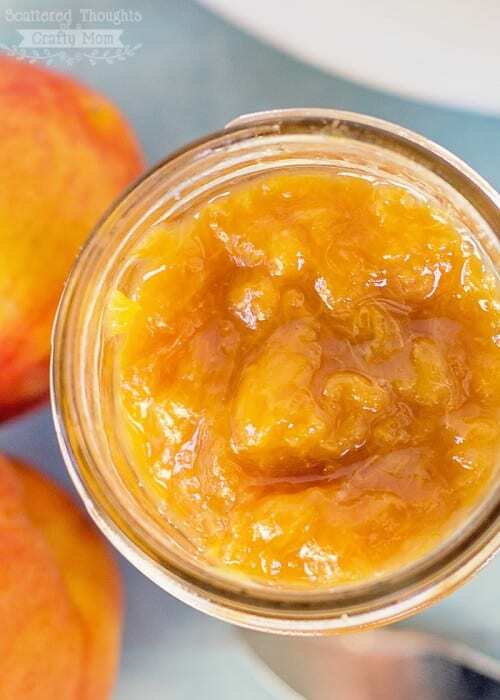 Now I can add this Easy Homemade Peach Jam to my toast and be out the door with something yummy in my belly. Have you ever eaten peaches and blueberries together? They really are the perfect combination. 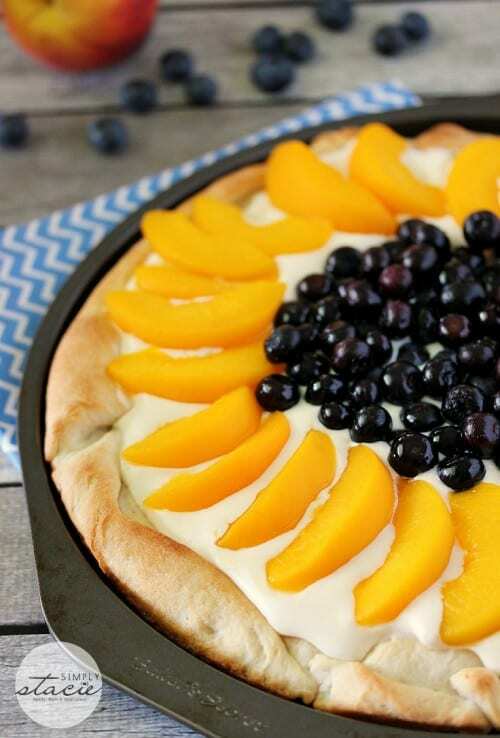 This Peach & Blueberry Pizza looks so yummy, and would make a great summertime dessert. 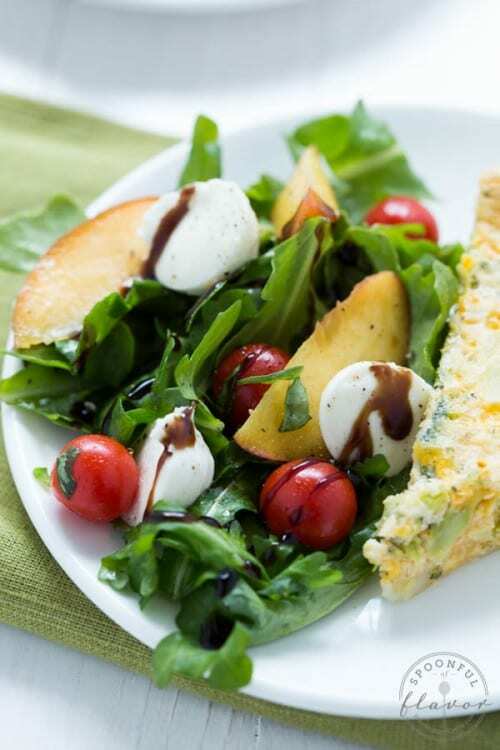 I have to say, I have honestly never thought about putting peaches on a salad, but this Peach Caprese Salad looks so yummy! I am would definitely give it a try. What are your favorite ways to eat fresh peaches? In a recipe or on their own? Let me know by leaving a comment below! I usually can’t eat them fast enough when I get them from our local farm so these recipes are great! Thanks for sharing. I love peach season! These recipes look awesome, can’t wait to try them! Just this morning I ordered a twenty-five pound box of fresh peaches. I am so glad I just ran across your post. 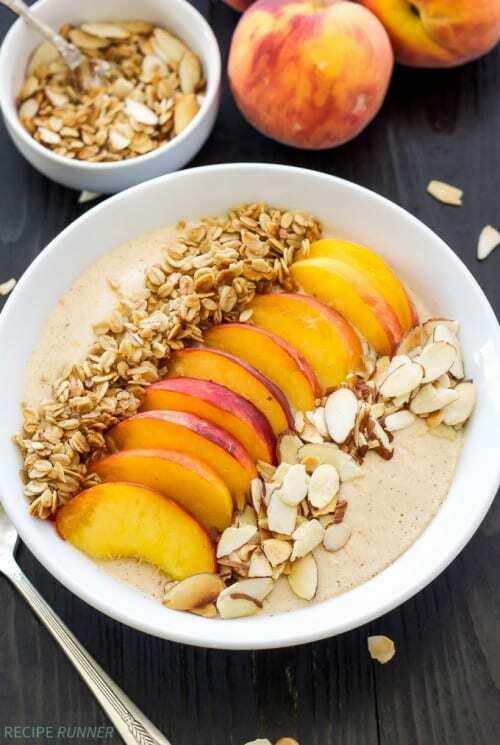 The peach pie smoothie bowl looks delicious…along with all the others. There are some great and creative recipes here. I will be pinning this to use in a week when they come! I love peaches! Thank you so much for the feature! Ahhh. . .peaches are a favorite of mine 🙂 Thank you so much for sharing these with us (me) at Brag About It! Hope you have a fantastic week! Yum! I love peaches and making all kinds of peach recipes in the summer! Thanks for sharing at #SmallVictories linkup! I agree, fresh peaches are so good! Thanks Danita! Thanks for these yummy ideas! You are so welcome Sue! Thanks for stopping by. I have been devouring the peaches right now…I need to find a peach pie before the season is over! Need to hunt one down…Stopping by from the link up. Fresh peaches really are so good. I love them too! How did you know I have been craving peaches like crazy this summer! Can not wait to try these especially the Bundt cake! I love fresh peaches too Melissa! They are so yummy! That peach bundt cakes looks really good! I think I need to get a Bundt pan! I mean, really, they are the perfect shape! They really are, Gigi! Thanks for stopping by and leaving a comment! I probably should not have read this post. 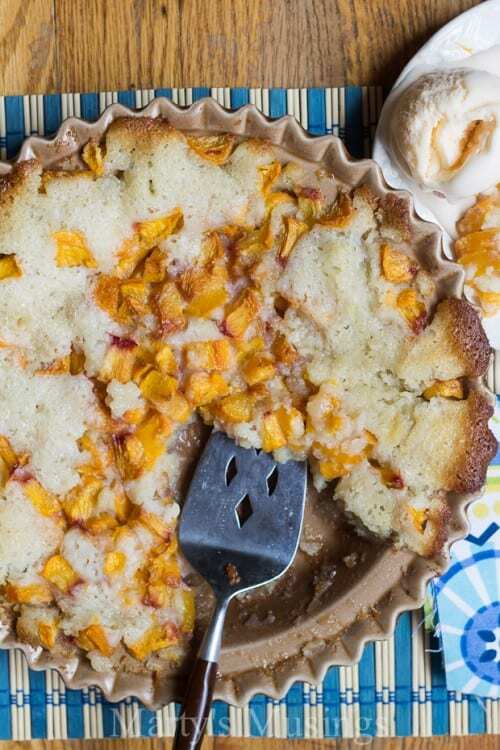 I started drooling at the bundt cake and was pretty much a slobbering mess by the time I got to the peach and blueberry pizza — three of my favourite eats in one. Thank you so much for sharing on DIY-Crush. Definitely one of my fave posts this week. Nothing’s better than fresh peaches this time of year! Great collection! I am so glad that you like this collection of recipes Ashleigh! The Crafty Blog Stalker is a website filled with DIY Step by Step Craft Tutorial Ideas. You can make it and I can show you how! Looking for a specific post or product used?